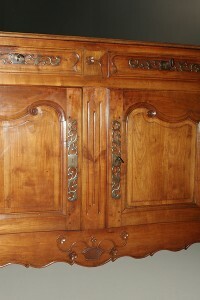 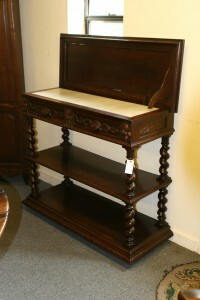 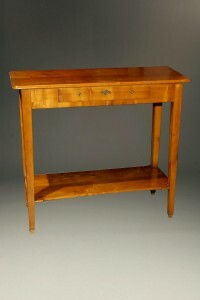 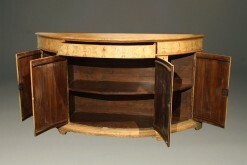 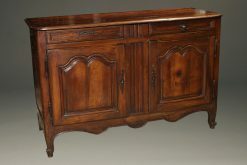 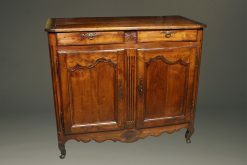 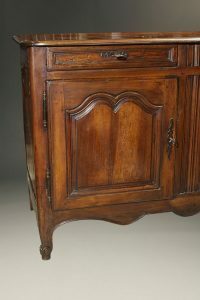 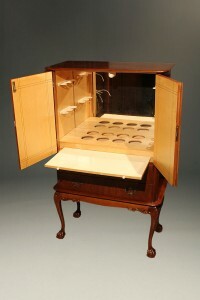 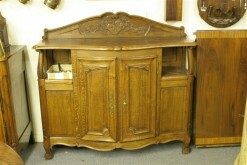 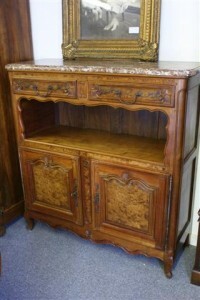 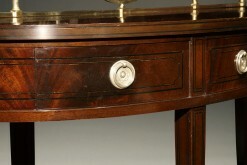 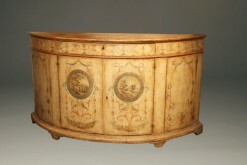 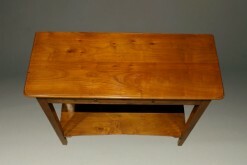 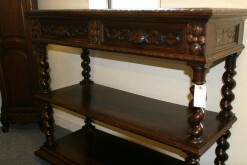 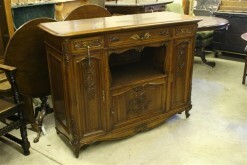 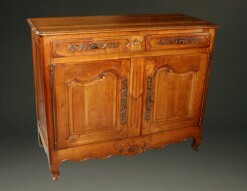 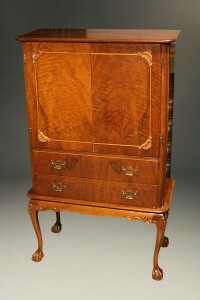 18th century French low buffet in walnut. 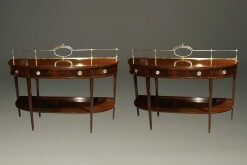 Pair of Berkey & Gay Hepplewhite style servers. 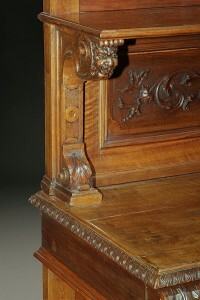 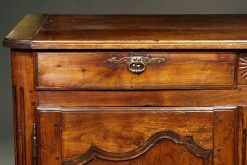 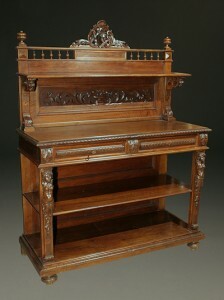 19th century Italian hand carved walnut server.